From left to right: Karen Johnson, managing editor of SeattleMag.com; food writer Matthew Amster-Burton; PR-pro Hsiao-Ching Chou; and chef Becky Selengut. AAJA Seattle held its first Innovation Salon on May 25 at TASTE Restaurant at Seattle Art Museum. These salons are aimed at getting journalists outside their comfort zones. By hearing from innovators in marketing, media, technology and other fields outside traditional media, journalists can learn about innovative concepts, integrate this thinking into their own work and become innovation leaders in their organizations. Our first salon, not surprisingly, focused on the culture of Twitter and how various users wield it to have conversations, cultivate sources and disseminate their messages – all of them outside traditional newsrooms. The stylish downtown restaurant, between the foodie suppliers at Pike Place Market and the social-media startups in Pioneer Square, was the perfect setting for journalists, foodie bloggers, marketing executives and tech analysts to gather for an evening of stimulating conversation. 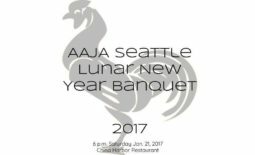 The event was co-sponsored by AAJA Seattle, TASTE Restaurant and Seattle Magazine. About 40 people attended the event, which was designed to be small to encourage meaningful conversations and networking. After chowing down on delicious appetizers prepared by TASTE chef Craig Hetherington, the audience heard from a panel moderated by Karen Johnson, online managing editor of SeattleMag.com. The panelists were food writer Matthew Amster-Burton; PR-pro Hsiao-Ching Chou; and chef Becky Selengut. 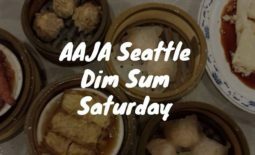 Shoutouts to Johnson, online managing editor of SeattleMag.com, for organizing the panel and venue; chapter treasurer Nicole Tsong for providing support; and volunteer Jillian Dinnie, who sold tickets and collected money for AAJA Seattle at the door. Want to learn more? 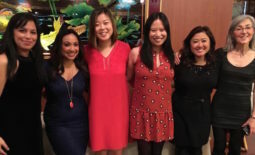 Read AAJA student member Peter Sessum’s post on 10 things he learned about Twitter etiquette from the salon.